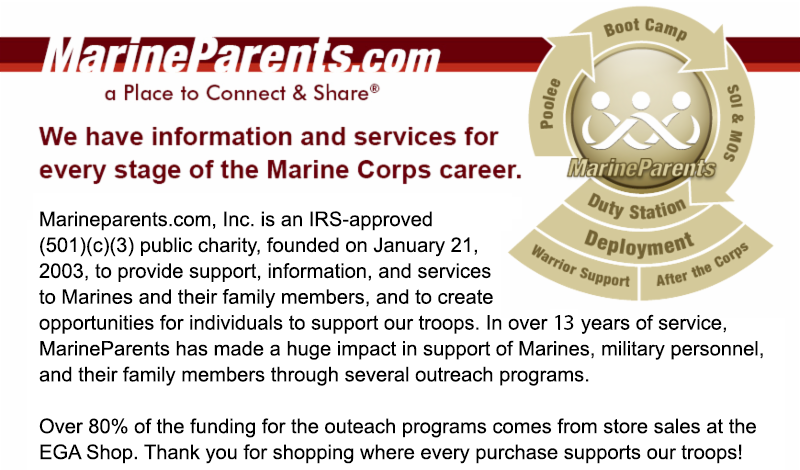 As another year is coming to an end, so too is your opportunity to make a charitable, tax-deductible donation to the outreach programs of MarineParents.com for 2015. With 2015 ending and 2016 beginning, I'd like to extend our best wishes to you and your Marine or recruit for a new year filled with peace. I'd also like to take this opportunity to thank you for the interest and support you have shown to the mission of MarineParents.com and our many outreach programs this past year. Midnight tomorrow evening, Thursday, December 31 is the deadline for charitable donations to be deducted from your 2015 Federal Income Tax Return. Please consider making your donation to the Warrior Support Team. 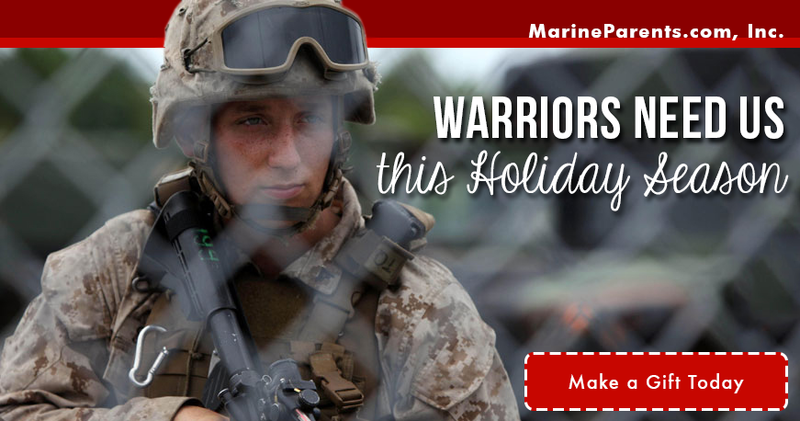 Click here to donate online and help us start the new year in the best way possible: in support of our Marines and their families at home! I would like to extend a heart-felt "thank you" to the Marine Parents family for another year of steadfast support. May God bless and protect each of you and your family members and loved ones. Thank you again for your continued support. God Bless and Semper Fi Marine Families!